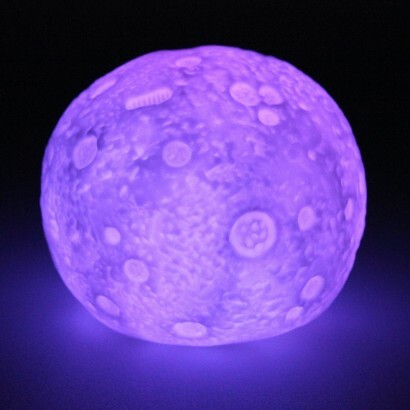 Not only does this moon lamp show as a blue moon, but a green one, a purple one and so much more! Lit by a colour change LED, this battery operated mini moon light is perfect for adding a touch of colour to desk tops and bedside tables as it shines through a soothing colour phase light show. 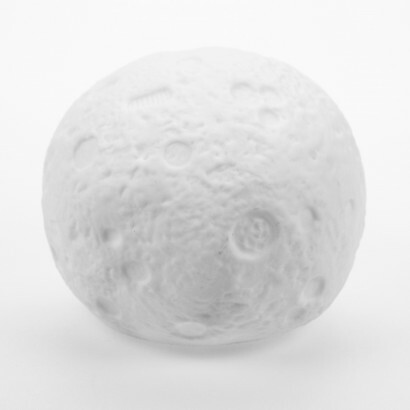 Battery operated, place it anywhere for relaxing space themed enchanting lighting. Detailed craters and footprints on the moon!